LABVERDE was created to strengthen the limits of art through a broad array of experiences, knowledge sets and cultural perspectives involving art, science and nature. The program’s main goal is to promote artistic creation through a constructive debate about environmental issues generated by both theory and life experiences in the Amazon rainforest. 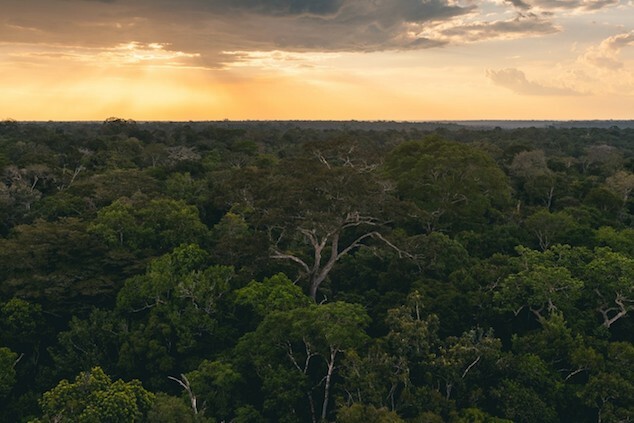 Developed in association with Manifesta Art and Culture and The National Institute for Amazonian Research, LABVERDE promotes an intensive experience in the rainforest mediated by a multidisciplinary team of highly qualified specialists in art, humanity, biology, ecology and natural science. LABVERDE’s artistic immersion program functions as a multidisciplinary platform for the development of critical thought about nature and ecology. Artists, scientists and other practitioners come together to recognize nature and tell its stories, in an attempt to create new ways of existing and interacting with the natural environment, as well as speculate on possible futures. Coexisting and providing visibility to a different logic of existence in the world implies a transformation from the concept of social construction of reality, to a biocentric worldview. Based on the meaning of the ecological landscape2 , artists come to understand their bodies as extensions of the Forest, no longer representing the landscape, but becoming the time and space of the Amazon. The journey starts with a boat trip and it gets deeper in an ecological reserve in the heart of the Amazon region, allowing a selected group of artists to explore different scales and perspectives of the rainforest along with the mediation of specialists in art, humanities, biology, ecology and natural science. Life experience and theory is integrated into 10 days of intensive activities. A schedule of expeditions, lectures, workshops, presentations and seminars will enhance creativity, having nature as a common ground. Among other themes, the participants find out about landscape representation, nature art appropriation, innovative solutions for a sustainable economy, climate change and environmental impacts, forest sonority, wild edible plants, entomology and dendrochronology in the Amazon. The network exchanges and the knowledge sets throughout the program is an opportunity to develop innovative cultural content. After the program, participants are able to improve their own creative discourses, identify natural environmental problems and solutions, and reflect on the role of art in influencing ecological behavior. This ten days immersion programm is open for artists from all fields (Architecture, Collaboration, Design, Digital, Experimental, Installation, Land Art, Light and Projection, Media Arts, Other, Photography, Research, Science, Sculpture, Technology, Visual Arts) thanks to a regular open call. Le réchauffement climatique est peut-être l'exemple le plus dramatique que Timothy Morton appelle "hyperobject".